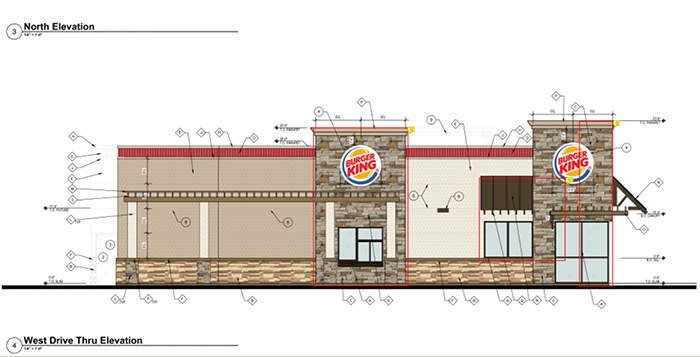 Architectural design for a Burger King south of the Fry's gas station on John Wayne Parkway. 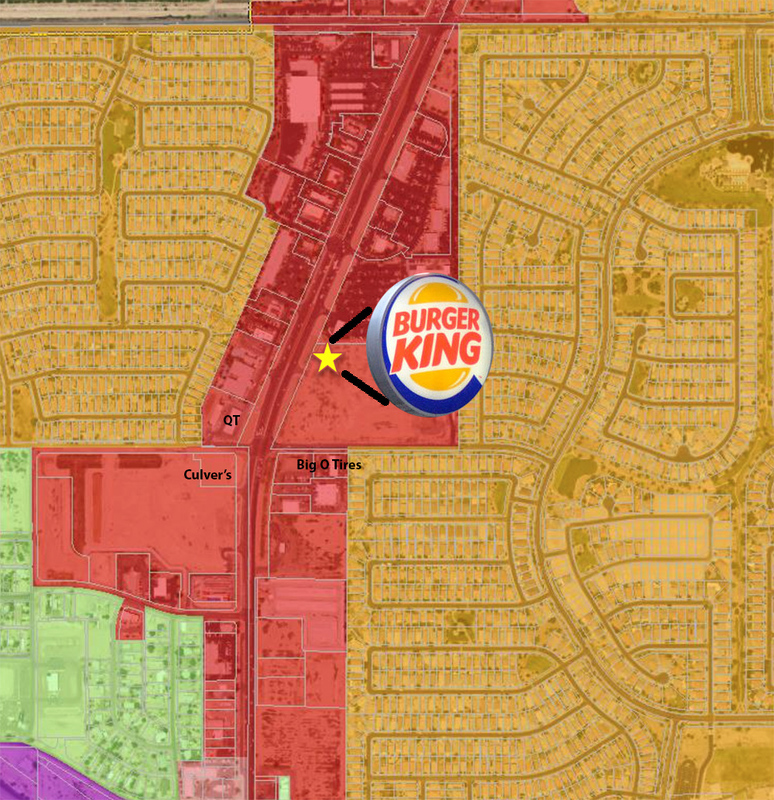 A fast-food restaurant eyeballing a local commercial development site as a future location came one step closer to sealing the deal this week. The Maricopa Board of Adjustments approved a construction code variance Tuesday that will allow the national chain Burger King to move forward with plans to build a restaurant at the Edison Pointe development site on John Wayne Parkway. 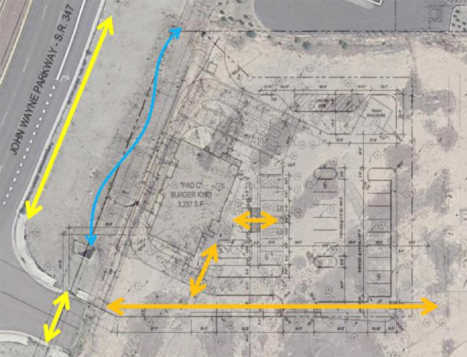 The company requested the variance after construction plans submitted to the city for its Maricopa location were found to violate current city code for the site. 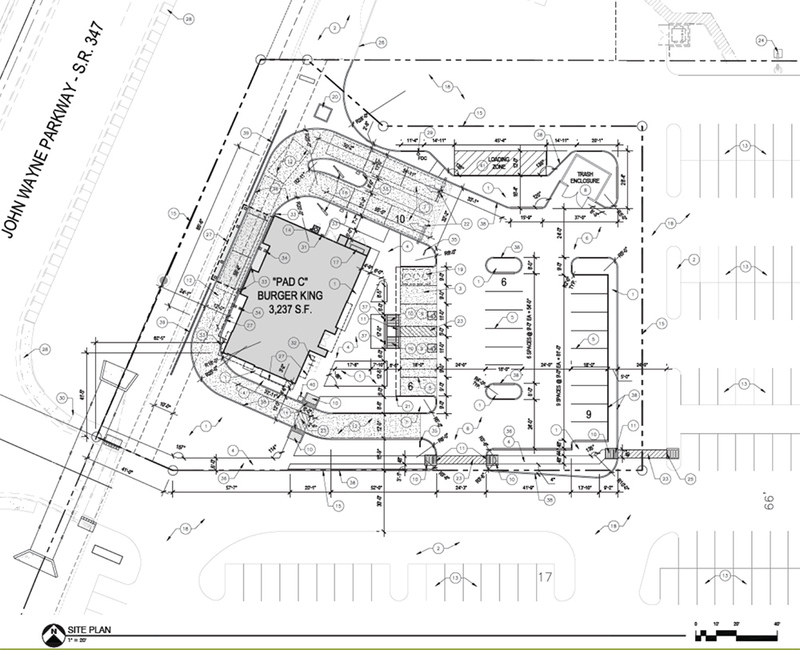 The current code prohibits pedestrian access from being cut off by restaurant drive-through lanes. However, given the unique nature of the location in relation to John Wayne Parkway, both representatives for the restaurant and city officials felt the submitted plans best suited the situation and thus should be approved. City Planner Ryan Wozniak said because a drainage canal runs in-between the proposed build site and the road there is no other way to get around the ordinance. Wozniak and his office recommended approval of the variance, which the board unanimously approved. To be in line with city code, the drive-through lane must also meet the requirement of being partially concealed by a “three-and-a-half foot or taller” retaining wall. 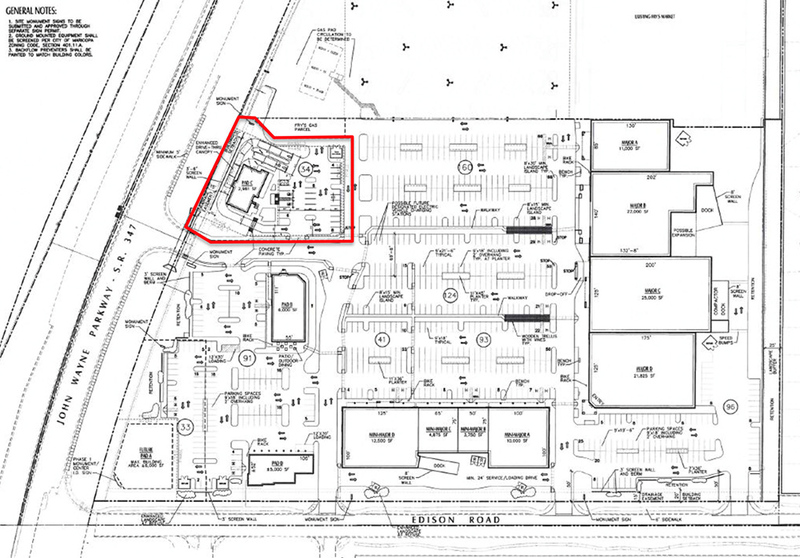 This is the only one of several businesses considering Edison Pointe as a future home. 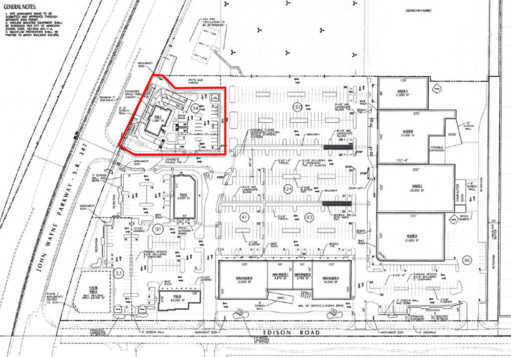 Big-box stores such as Ross and Petco are likely tenants of the commercial space being built on the northeast corner of Edison Road and John Wayne Parkway. Blue line is the drainage canal, yellow is the sidewalk along John Wayne, and orange is how pedestrians will be able to access the building.